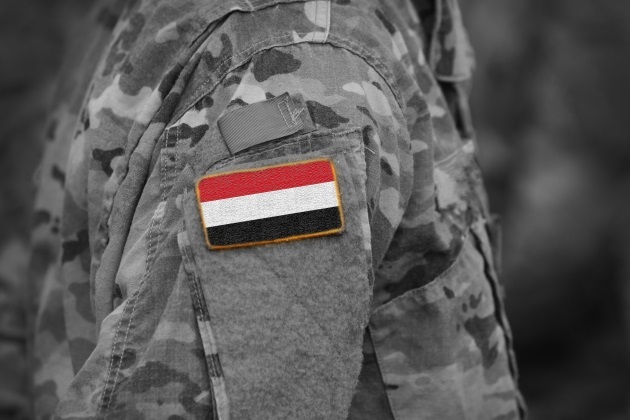 The U.S. military is one step closer to removing itself from the Yemeni Civil War. This conflict started in 2015 in the Arab country as a few weeks of civil unrest and fighting. Four years later, the war continues. Learn more about how this war began and where the monumental crisis stands today. Also find out if, in fact, the U.S. military will be withdrawing from activity in this devastating conflict. The country of Yemen, connected by a border with Oman and Saudi Arabia, has been in conflict since as early as 2004. During this time, the Houthis rebelled against the government. The Houthis are militant Shiite Muslims from northern Yemen. This group of militants is thought to be supported by Iran or another Shiite militant group, Hezbollah, from Lebanon. However, in 2011, the political transition to the new president, Abdrabbuh Mansour Hadi, led to greater disruptions. Hadi was the leader at a time when the Houthi movement was in full steam. The rebellion by the Houthi was in part due to overwhelming food insecurity, unemployment, and political corruption throughout Yemen. The nation and presidency alike were the target of a number of jihadist and separatist attacks that weakened the social structure of the country. Hadi also suffered from internal conflict, which escalated the rebellion that began at the end of 2014. Sunnis and ordinary Yemenis backed by the Houthis helped take over Sana'a, the capital city of Yemen. Hadi went into exile to protect his life. At the point of the military coup by the Houthis, Saudi Arabia moved in with an air campaign. The goal of the campaign was to put Hadi and his cabinet members back into power. To be able to achieve this mission, a coalition of the U.S., the U.K., and France was established. As part of this coalition, the U.S. military has provided logistics and intelligence to Saudi Arabia. Today, Hadi continues to be in exile. Meanwhile, the Houthis are in power in Sana'a. As for the toll of the war in Yemen, it is massive. According to the BBC, "Yemen is experiencing the world’s worst man-made humanitarian disaster." Famine, disease, poor health, and malnourishment have taken place in epic proportions. There have been more than 7,000 civilians killed in fighting since 2015 alone. Furthermore, 65 percent of these fatalities were the result of coalition air strikes by Saudi Arabia. By taking away the military support that the U.S. provides, Congress is expecting to reduce the devastating impact that the continued fighting has on the civilians of Yemen. The House and Senate each voted last week to withdraw U.S. forces. President Trump has said he would veto the bipartisan resolution, which appears to not have enough votes for a two-thirds majority. This is required to overturn the veto, which would be Trump’s first in office. In the resolution, both parties call for the Pentagon to stop all military activities being carried out in Yemen, with the exception of fighting al-Qaida. The resolution gives the Pentagon 30 days to carry out the motion. Historically, the 1973 War Powers Act gives lawmakers an additional voice in the matter. According to this legislation, lawmakers can order the Pentagon to stop performing military duties not ordered by Congress.